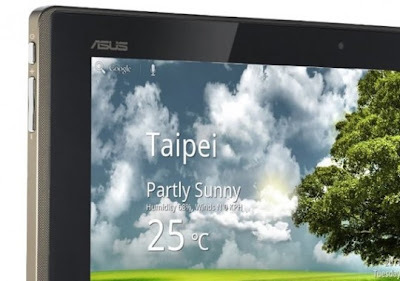 Today ASUS has started the rollout for a small OTA update to the ASUS EeePad Transformer Tablet. From initial reports the update brings the Transformer up to build 8.6.5.9 and many are reporting that Netflix is now fully supported. We saw the Netflix logo appear on the homepage for the ASUS Transformer but we’ve still yet to see any official comments or support as of late. While users are claiming Netflix still doesn’t show up in the market, you can download it manually and it works without root or making any changes. Download Netflix here and let us know if it works in the comment section below. The Asus Transformer recently received Android 3.2 Honeycomb so this could also bring a few changes and bug fixes for that, but we don’t have a change-log to confirm any details thus far. This latest OTA update that is rolling out to Transformer users now also brings with it an update for the dock software. If you dock your Transformer that software will also be updated to version EP101-0213. We recently saw a few accessories and docks leak over on Amazon and this new software update might be just what was needed for those accessories. Go ahead and check for updates and feel free to share any details, comments, or concerns in the comment field below. Previous articleHTC Status Facebook Phone getting discontinued already?